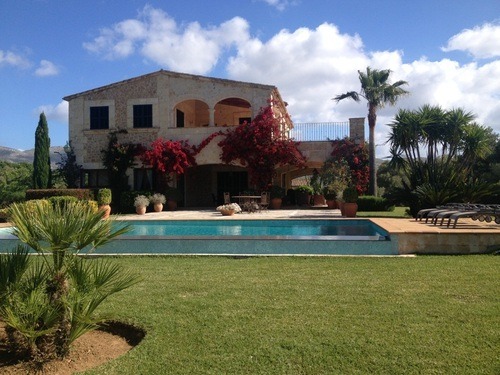 Clare from our Mediterranean team went to Mallorca to see some of our famous Scott Dunn villas. Here are her thoughts…. Scott Dunn catered villa definition: a luxurious, intimate home-from-home, including exquisite food prepared by your personal chef, attentive yet discreet service from your villa host and unparalleled energy and attention for your children from their Scott Dunn nanny. 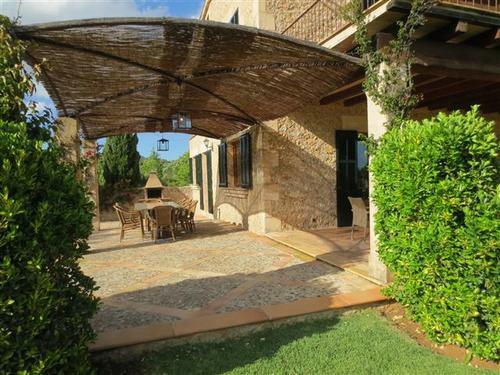 Summer 2013 sees the addition of three fantastic new villas for Scott Dunn in Mallorca and I was lucky enough to spend some time recently visiting them and ‘test driving’ the impeccable Scott Dunn service that they are renowned for! Arriving just in time for dinner we were served the most amazing three course meal – an infusion of local produce and imaginative presentation and with it being the beginning of the season, our chef had just got the keys to the villa 4 hours previously…wow! 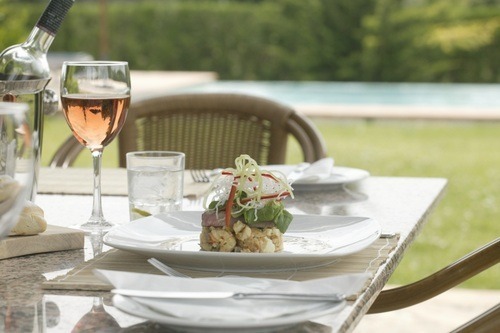 Can Queneilles ticks all the boxes for anyone wanting a relaxing villa vacation. It is spacious and airy and the two master bedrooms are of a great size. The playroom in the basement is vast and very well equipped; the doors open out to the front of the villa providing a breeze and lots of natural light. Grabbing a quick breakfast on the sun soaked terrace the following morning, we agreed that this would be the ideal place for long lingering café crèmes…or a chilled gin & tonic in the evening! Next on the list of villas to visit was Sarieta – one of Scott Dunn’s smaller villas, it was formerly a large barn and has been lovingly restored to an ultra-modern, stylish villa. 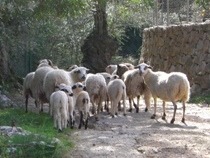 With the bedrooms being subterranean, they keep cool all day long even in the depths of a hot Mallorcan summer! Villa Alfabia is only a short drive away – comprising of two cottages, this villa is perfect for two families wanting to vacation together. The courtyard between the two buildings works well for hosting the evening meal when the children are in bed! The gardens are vast and beautiful; we met the owner who proudly showed us his chickens – little ones would love collecting the eggs each morning, which they can then deliver to the chef to use in their breakfasts! 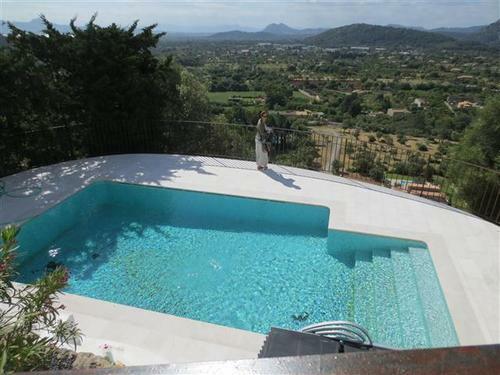 If it’s a view you are after then you certainly won’t be disappointed by that at Villa La Font. High on the hillside overlooking Pollensa, with views stretching out as far as the eye can see; La Font sits taking it all in! The staff had only just got the keys when we arrived to have a look around. You could clearly see the chef was happy – he has stunning views whilst he bakes his olive bread each day! It’s a lovely bright and airy property with stunning views from the balcony. Approximately 10 minutes’ drive away, Villa Can Totxa which has fabulous established gardens, a swimming pool, and tennis courts or for the less active – sun loungers! 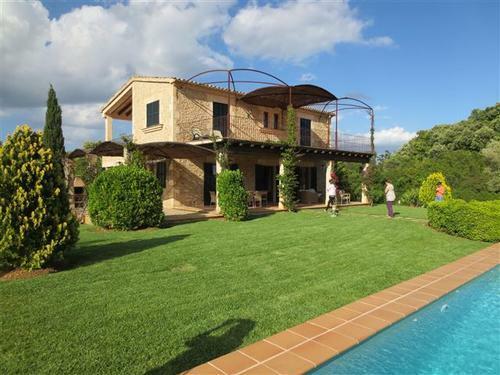 It is a very traditional ‘finca’ style villa yet the interior is very modern and airy. Villa Josefa has been built to resemble a Spanish manor house – another property with beautifully manicured gardens. 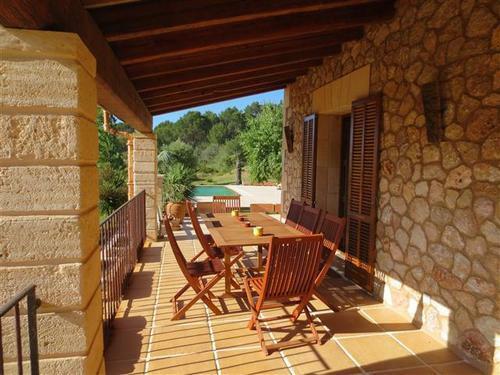 The terracotta tiles inside the villa give it a really rustic feel and the terraces that wrap around the outside provide the perfect place to enjoy a cold glass or rose and a good book! Can Totxa, Josefa and Can Coloma all have the Tramuntana Mountains as a back drop – a stunning location in which to unwind and let the staff cater to your every whim! Once you’ve been on a catered Scott Dunn villa vacation, no other vacation will ever do!